wow, now there is some serious epicness right there. Holy cow...now that is a battle pack! Is that the Sith Witch? I'd say so. It's really close to the final design for Talzin, but still slightly different. She is simply called a "Nightsister" on the packaging; she has long braids; and comes with a lightsaber. 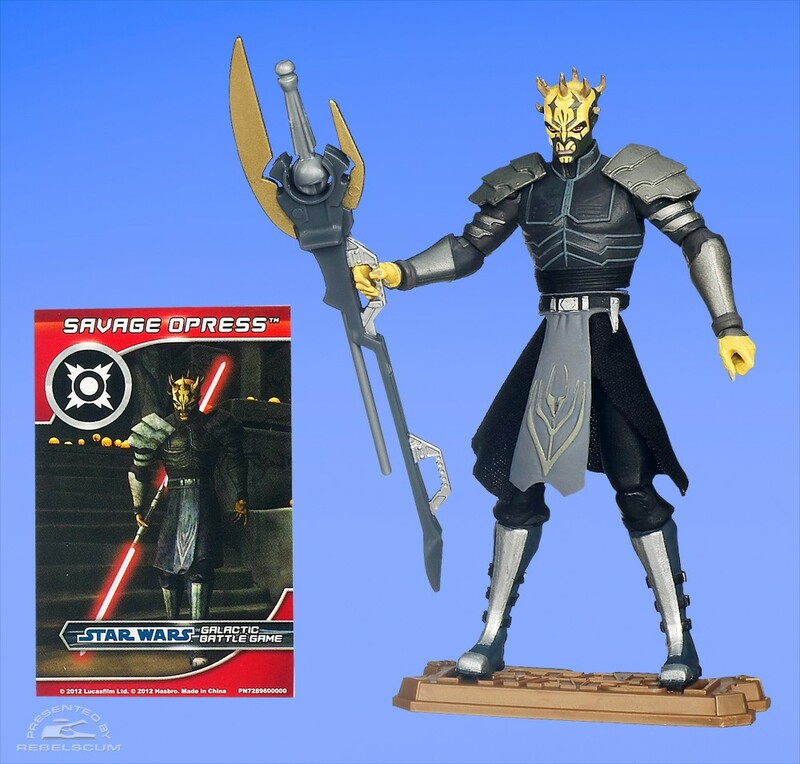 This is enough to identify it as a concept figure, in my opinion. 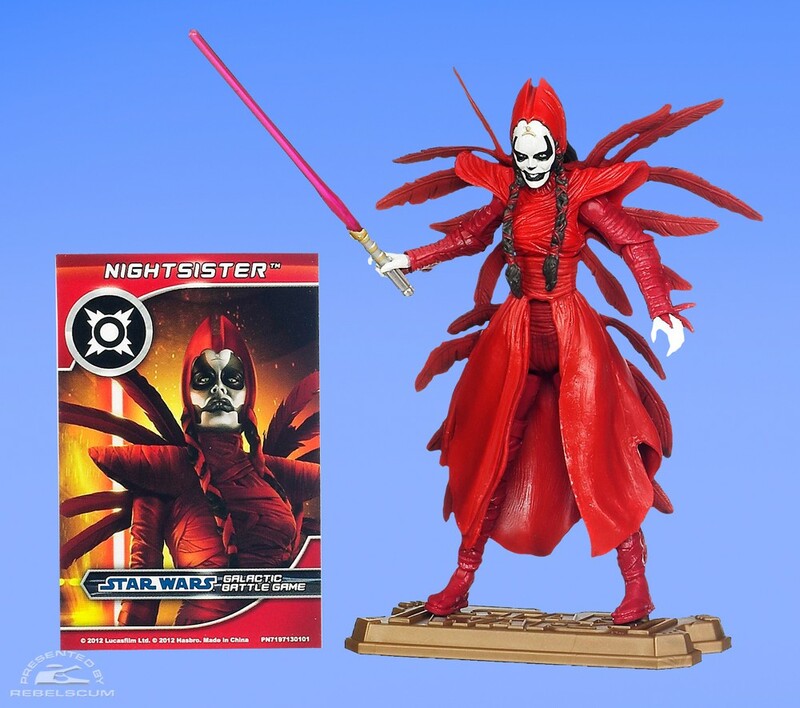 She is simply called a "Nightsister" on the packaging; she has long braids; and comes with a lightsaber. I don't recall the nightsisters using lightsabers. I thought lightsabers were reserved for Jedis, Siths, and the occasional wannabee (like Asajj Ventress or Aurra Sing). Whatever, it looks to be a good pack, though if I were KING it would only include new stuff. 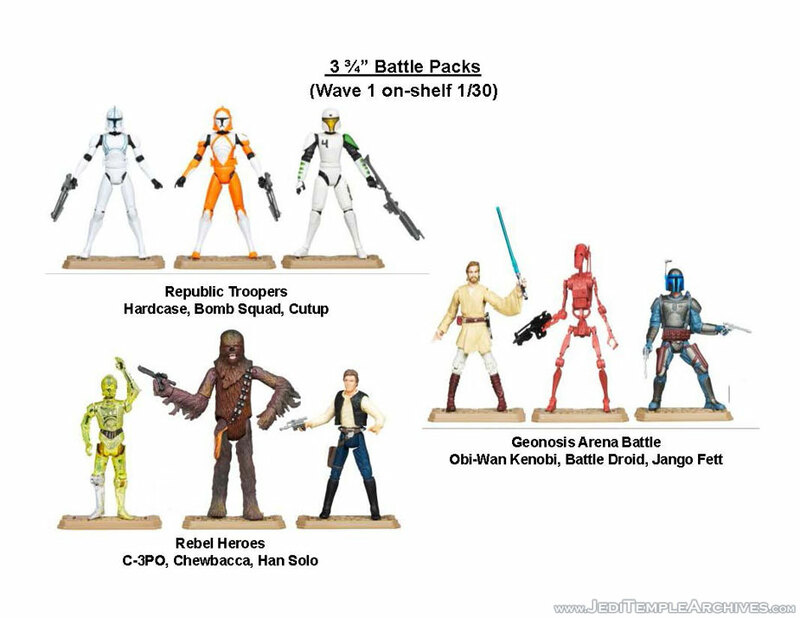 I thought Hasbro had promised not to mix new and repacked figures in battlepacks?? I thought Hasbro had promised not to mix new and repacked figures in battlepacks?? What I have learned is that one need not hold Hasbro to what they say. If you recall, they said that their exclusives cannot consist of a lot of new tooling, but here we have two brand-new figures. 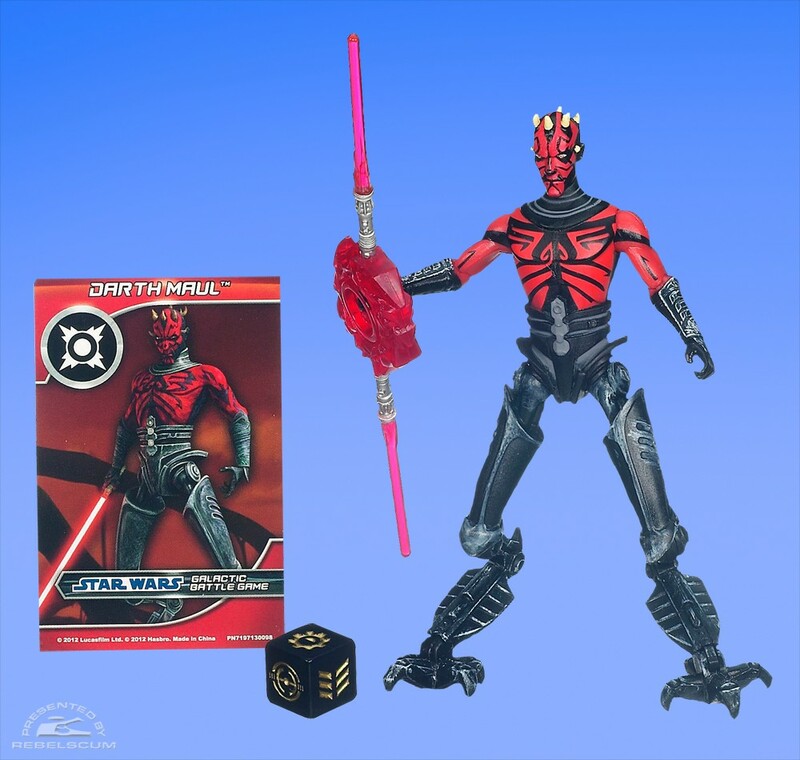 They also said that there was only one TCW-themed Battle Pack planned for 2012, and yet here is the second. So, at this point, I will take what they say with a grain of salt. Like any business, their plans can change when necessary. I don't recall the nightsisters using lightsabers. I thought lightsabers were reserved for Jedis, Siths, and the occasional wannabee (like Asajj Ventress or Aurra Sing). But they're trying to sell a female antagonist in a boys' action figure line, so they need to give her some kind of play value. The lightsaber accomplishes that, and the rest of us can give it to another character, store it with other unused accessories, or toss it in the garbage.